Dear friends! Integrum World Wide congratulates you with a merry Christmas and a happy New Year. We wish you optimism, everlasting vigor and unquenchable liveliness, strong health and prosperity, fulfillment of the most cherished dreams. 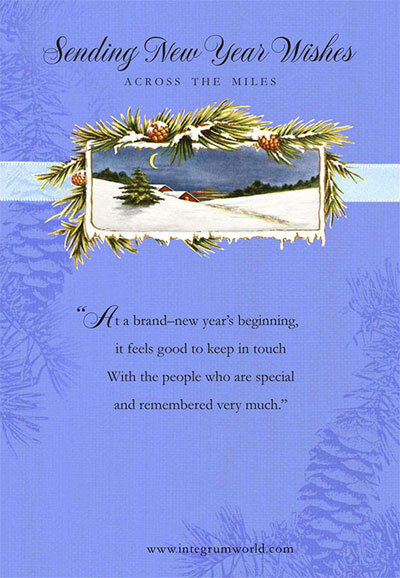 Let the coming 2010 bring you only the pleasant changes. The databases of the Scientific Information Institute on the Social Sciences are indispensable part of the information and bibliographical support of the educational and research processes in the social and classical sphere. The bibliography databases of the Scientific Information Institute on the Social Sciences have been kept since 1980. They represent annotated descriptions of books and articles, which have been received by the library of the Scientific Information Institute on the Social Sciences of the Russian Academy of Sciences. We are glad to inform that the bibliography cards of the Scientific Information Institute on the Social Sciences for the years 2001-2008 have become available in the Integrum databases this year. Formerly the users of Integrum had access only to the records for the years 1981-2001. We are proud to announce that Integrum World Wide will participate in the Annual Conference COSEELIS that will be held at Clare College, Mary Sunley Building, Cambridge, UK on the 6-7th of April 2009. The year 2008 can be reasonably considered vivid by the significance of events, having taken place in the economics, politics and society. Therefore, the role of newspapers, magazines and information-analytical agencies, those, who deal with covering these events, has increased greatly. According to the data, provided by the Analytical and Monitoring Department of IA Integrum, in the first six months of 2008 the newspapers “Kommersant’”, “Vedomosti” and “Rossiiskaya gazeta” were the leaders of the rating, having taken the first, the second and the third places. In the second half of 2008 “Vedomosti” took the lead over “Kommersant’” and the place of “Rossiiskaya gazeta” didn’t change. This rating is composed using the unique set of tools, which permits to define the actual interest of the professional audience in the information, presented in this or that edition. The popularity of the mass media is estimated, taken into consideration the ratio of users’ access to the materials in the Integrum databases. It allows avoiding the information noise and getting maximum reliable results. To read the full report of the Analytical Department of the Integrum Information Agency «Rating of the most popular Russian mass media for the second half of the year 2008» (120 Кб) in Russian. Dear friends! 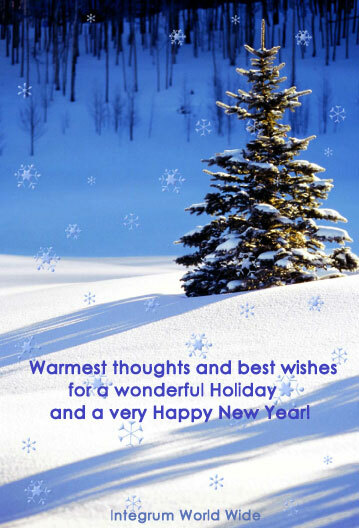 On behalf of all of us at Integrum World Wide we wish you all the best in the upcoming year of 2009. We are proud to announce that Integrum World Wide will participate in The 40th National Convention of the AAASS that will be held at the Philadelphia Marriott Downtown, 1201 Market Street, Philadelphia, Pennsylvania, on November 20 -23, 2008. We will be pleased to meet you at IW booth #412 and answer all your questions. We sincerely hope that these updates will make work with Integrum services easier and simpler. We are glad to announce that Integrum World Wide is participating in the Fifteenth Jubilee International Conference "Crimea 2008": Libraries and Information Resources in the Modern World of Science, Culture, Education, and Business, that takes place on June 7-15, 2008 in the Crimea, Ukraine. Retrieval System in Human Studies"